New data from IBISWorld shows the Australian egg farming industry is expected to generate AUD $759.6 million in revenue in 2015-16. According to IBISWorld, in the five years leading up to 2015-16, Australia’s free range egg production is expected to grow at an annualised 12 per cent. At the same time, cage egg production has staggered downwards over the past five years. 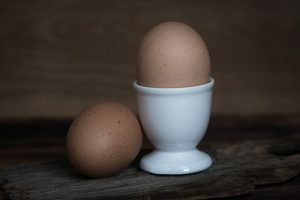 Brooke Tonkin, a senior analyst at IBISWorld, said rising concerns among consumers about the treatment of animals in food production has contributed to the increasing production of free rage eggs. “Consumers are becoming increasingly willing to pay a higher amount for food they believe is of higher quality and ethically produced,” Tonkin said. Tonkin said changing spending habits and an increased push for ethically produced food was prompting the major supermarkets to respond. “This has led to a marked decline of the proportion of egg production made up by cage eggs, with cage egg farmers switching to free-range or barn-laid egg production to ensure that they can continue selling to major supermarkets,” said Tonkin. Despite the demand for free range Tonkin said some were still concerned whether they were really getting ‘free range’ eggs even with the new definition decided upon in March 2016. “The new standards allow for 10,000 hens per hectare during free-range egg production. This makes it easier for farmers to invest in new free range production facilities with greater confidence. However, [consumer advocacy group] Choice Australia and the RSPCA have criticised the new standard,” Tonkin stated. Sushi rolls vs rice paper rolls: which is better for energy and performance?